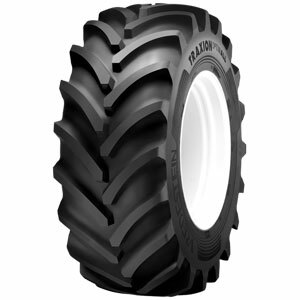 The Vredestein Traxion Optimall is a premium radial tractor tyre that incorporates VF technology. Stiff radial carcass design ensures excellent stability in heavy on-road transport situations. All Traxion Optimall sizes incorporate VF (Very High Flexion) and F+ technology, making them suitable for high horsepower tractors, and are designed to meet the specific requirements of tractor manufacturers.